Compared to other Tunisian towns, Sidi Bou Said feels like an expensive film set for a scene from a blockbuster action movie. As you walk up the narrow streets to the top of the village, the striking building exteriors leave you mesmerised – think bright blue painted doors with jewelled black details, all set in pristine white walls. 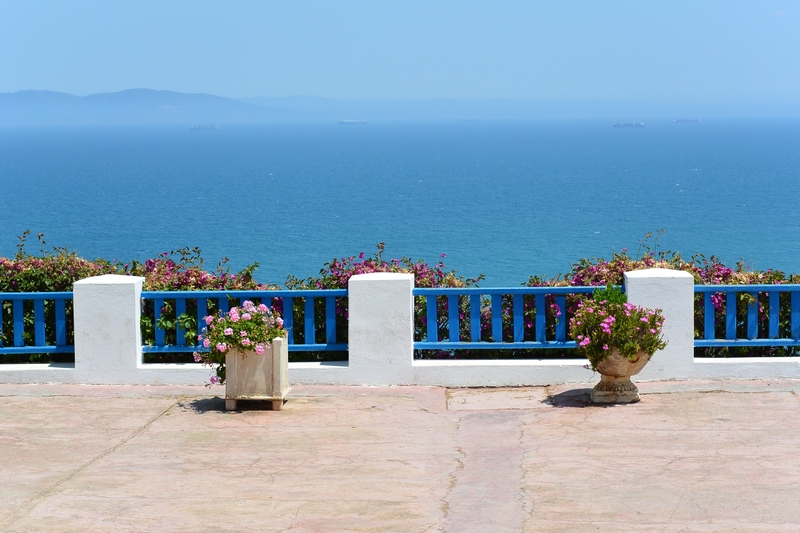 It’s all very chocolate box Arabia and yet, those with a keen interest in art will enjoy Sidi Bou Said thanks to the numerous quaint galleries hidden in the nooks and crannies of the side streets. It might come as a surprise to those who don’t know it but there’s more to Tunisia than beaches and desert. Sidi Bou Said is a case in point. We started with Art Gallery El Artista, owned by Mounir Letaief, a local Tunisian artist, and pored over a series of beautifully painted canvases and handmade jewellery created by his students. I walked away with the most magnificent ring I had ever set my eyes on – price, an infinitely reasonable £15. Further down the hill, along the winding roads leading to Tunis Bay is Ennejma Ezzahra, once home to Baron d’Erlanger and now the Arab and Mediterranean Music Center. Designed by the Baron and built between 1912 and 1922, the home is one of the most beautiful residences of modern day Tunisia, intricate woodwork, painted wood and marble, and impressive original antique furniture. It was fascinating and almost had me packing my bags and preparing to relocate. Had I done so, I wouldn’t have been short of things to eat. 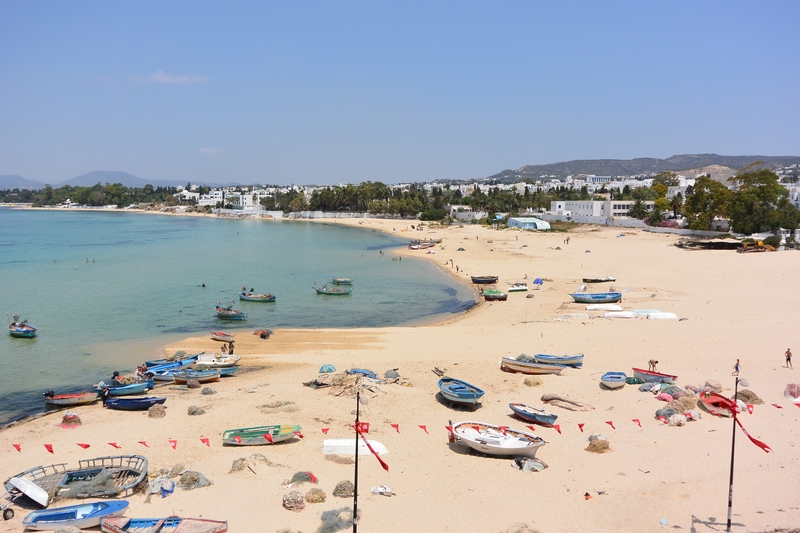 As well as a rich cultural heritage, Tunisia is rich in sunshine, lovely beaches and delicious fresh food. Fish caught that very morning from the surrounding Mediterranean waters, grilled on open barbeques, meaty tagines and fresh salads all tempted my taste buds. And if it’s not the food, shopping and arts and crafts that tempt you, then the history might. 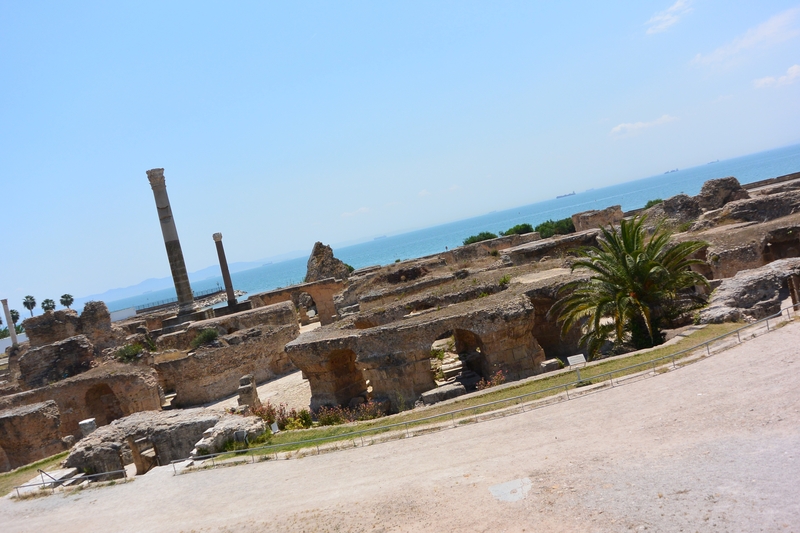 We flew into Carthage, an area with a fascinating past that stretches back to the Iron Age. From the ruins of the Antonine Baths, one of the oldest and most impressive Roman baths in the world, you can see the Presidential House; a home which was, until January 2011, owned by former President Zine El Abidine Ben Ali before he was forced to flee to Saudi Arabia. Look right and you can see the road where Hannibal marched his army of men and elephants. A short car journey away is the Medina. No visit to Tunisia is complete without a trip to one of these bustling souks, although it’s worth bringing a guide along in order to navigate the narrow network of stall-lined alleys. The locals try every trick in the book to make you spend money within the confined walls and it can take some getting used to. Nevertheless, with trinkets, bags, tiles and shoes piled high, there’s enough to keep even the pickiest of shoppers happy – although you will have to haggle for your haul. Shopping done, I headed to the beach, where I soon found myself ensconced on a stretch of gleaming golden sand with a gorgeous view of the Mediterranean. While most towns and cities boast a beach, Carthage’s Raf Raf is surely one of the loveliest. Don’t, however, expect Spanish or French polish. While the sand was white, the shacks that lined the beach were a little rough around the edges, leaving me feeling as if I’d just experienced real Tunisian culture – teenagers sipping cans of fizzy pop, shading themselves from the intense summer heat, and mothers dressed head to toe, splashing around with their children in the clear sea water. It might not be for everyone but with its magical history, colourful medinas and gorgeous white sand beaches, Tunisia is a slice of the exotic on Europe’s doorstep. And, as I discovered, there’s far more to it than sandy beaches and waiters on the lookout for wives. Indeed, I’d go so far as to say that its an up and coming destination for art that hasn’t fully realised its potential. It won’t be long until it does.